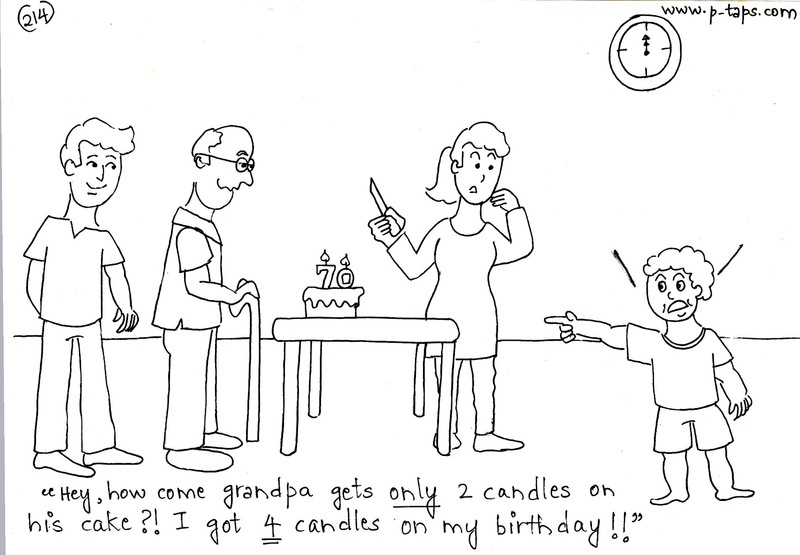 Hey, how come grandpa gets only 2 candles on his cake?! 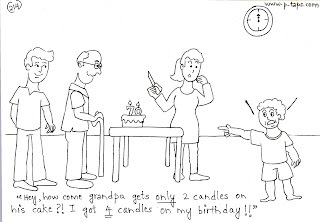 I got 4 candles on my birthday! !